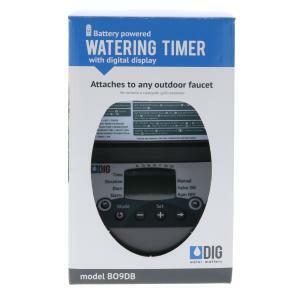 Dig's BO9D Digital Hose End Timer is a popular choice among home gardeners. The simple programming and improved monitoring of battery power, using less current, provides longer battery life for extremely reliable operation. Programming features, such as, higher flow rates at lower inlet pressures make this model a cost effective solution for residential users. 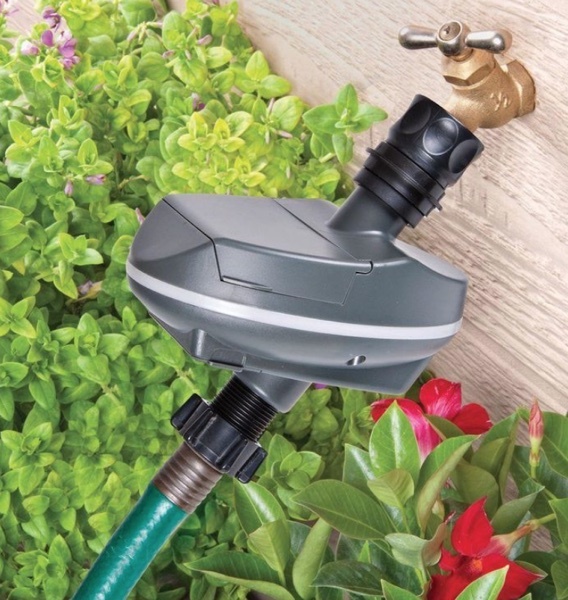 The BO9D Digital Hose End Timer has four start times per day with durations from 1 minute to 12 hours 59 minutes in one minute increments, an operating flow range from 0.5 to 6.3 GPM (gallons per minute) is perfect for drip irrigation or micro sprinkler systems connected to a garden hose or faucet/spigot. This new hose end timer uses one 9-volt alkaline battery (not included) which may last up to or over one year.